You need to rely on the strength of blog commenting in the online business where the activity can bring in enormous traffic to your website if you conduct the show in a matured manner. You have to choose the right blogs that are in the identical trade that you deal in and make useful comments therein to get the notice of the visitors. It is an easy strategy that anybody can take, which improves with expertise. Many experienced webmasters and SEO professionals rely on the technique to create a large number of traffic to the site through the blog commenting services. There are certain basic reasons for taking up the activity. First, you try to make a relationship with the original blogger with your valid contribution as comments. If you are contribution potentially and if they are really useful for readers, you will earn respect from the blogger and visitors as well. Visitors would visit your website to find more additional information on the same niche of the blog. You are noticed by the community of visitors or readers, which is a great achievement in the online business. The additional advantage is that you create backlinks for your website. 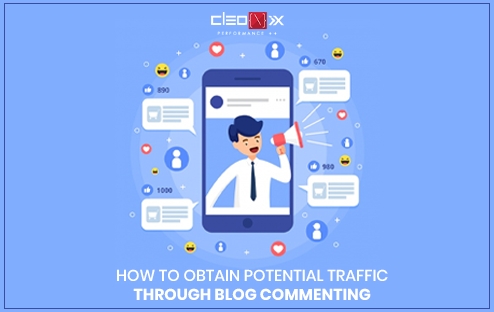 Therefore, it can be summarized that blog commenting is a helpful exercise for attracting a large number of visitors to your website and also a potential technique of backlink building. It is a very straightforward process provided you choose the right blogs that suit your subject or the circle of your business. You have to make a strategy of putting valid comments on a daily basis. For instance, you can start with 4-5 comments every day on blogs, which are updated frequently. Prepare a list of qualified blogs before you start the activity so that you can make the campaign with full force. Remember that the commenting activity is a part of the original search engine optimization process where backlink building is considered the main factor, which should be collected from various resources to help the website find higher positions in search engines. Google provides importance to the content, which is original and helpful for visitors. If you are capable of adding substantial contents through blog commenting, you can expect better search engine positions for your website after the full search engine optimization campaign is over. It should be a great comment on a great post so that you are able to draw the attention of visitors and gain in the traffic volume.